Home review sessions Surfstuff Windsurf Therapy and Equipment review! 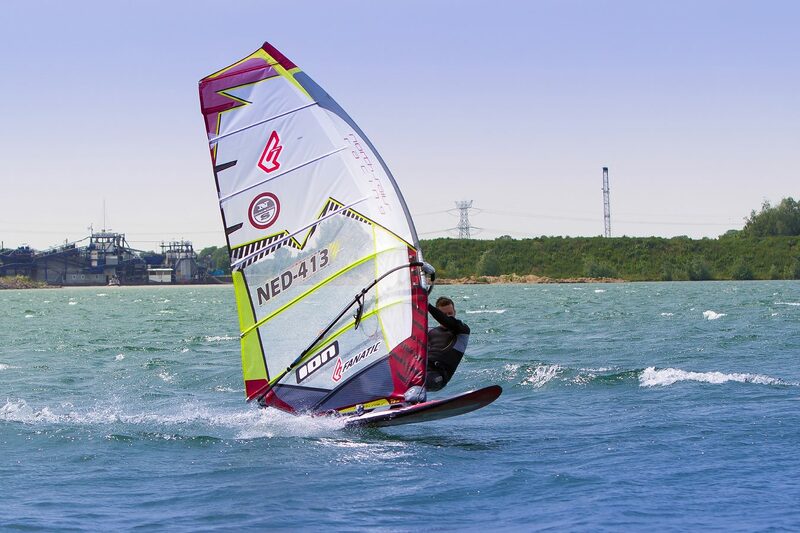 Last month I started getting into the rhythm of one windsurfsession per week despite my rheumatism is active again. This is working out fine for me, the pain in my fingers is getting less every session without the use of drugs (methotrexate). Also my fitness (physically/mentally) is improving. 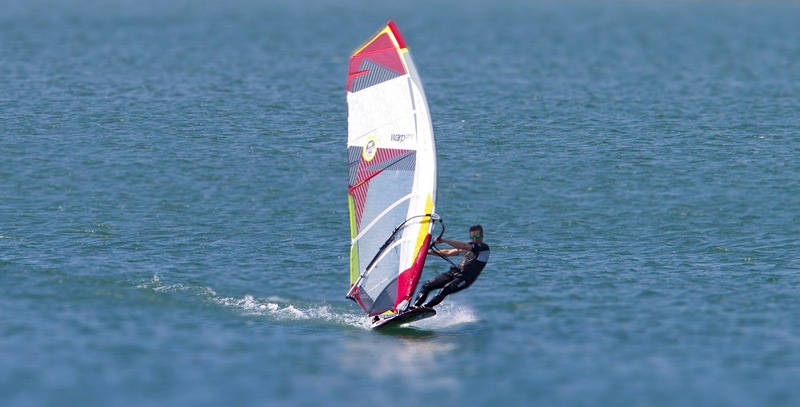 Windsurfing is the best medicine! In these sessions I've been working on my style/trim and tried a lot of different settings and fins. I'm super happy with the results of these sessions. So far this resulted in a more balanced stance with good speed, a free/hoovering ride and lots of control. With my biggest slalomboard/sail I've done a topspeed of 30 knots in only 10-15 knots wind and in another lightwind session 25 knots in 7-11 knots wind, very efficient! With my medium slalomboard I've improved the spotrecord on my homespot in choppy conditions/crosswind runs and on a session at the Veluwemeer I got a 2nd best Max 2 sec and Nautical Mile in the dayranking. Some general findings are: mastrack further back, boomheigth medium, longer harnesslines, I like the softer fins with lift and control, on the sails increased camberpressure (added biggest spacers). - although very different in size, the boards (102 and 132) have the same "feel"
- "very fast/allround slalom fin"
- "sportive/6 gears speed/slalom fin"
- "predictable/allround medium slalom fin"
- "fast and furious slalom fin"
A big thanks to Erwin Bovendeur for all the pictures, this makes looking back at the windsurfsessions special. Complimenten voor je fraaie blog. Vraagje; ik had een FHot 46 cm S3 ( icm een Starboard Isonic 127 liter ) maar vond dat hij op een gegeven moment ging remmen terwijl je juist nog harder kon. Maar het kwam niet uit de vin. Vreemd voor zo'n fraai afgewerkte vin. Herken jij dit? Good review! Very efficient I'd say! I need about 15-17 knots to do 30knots (no cam sail) and was able to do 28.54kts 2 sec peak in 9-13knots (3 cam koncept). I'd like to break 30knots in 10-15knots!! @Joost, thanks! Die ervaring heb ik juist niet met de F-Hot 46, ik heb de top nog niet ontdekt, in welke omstandigheden was dat?